Spokane City Hall is located at 808 West Spokane Falls Boulevard, Spokane, WA 99201; phone: 509-625-6354. Photo: Finch House, ca. 1897, West 1st Avenue and South Poplar Street, Spokane, WA. Listed on the National Register of Historic Places in 1976. Photographed by User:Murderbike (own work), 2007, [cc-by-1.0 (creativecommons.org/publicdomain/zero/1.0/deed.en)], via Wikimedia Commons, accessed August, 2015. Over the decades, Spokane has been shaped by its notable beginning. Capturing the attention of fur traders, miners, missionaries and those with the "westward-ho" spirit, Spokane soon found its place on the map. Prior to 1800, Spokane was a Native American encampment located near the falls of the Spokane River. It was not long, however, before James N. Glover, the "Father of Spokane," recognized the beauty and potential of the unscathed Spokane area. He acquired land rights from the first settlers who had arrived in 1871 and eventually established a store where he and his wife worked and resided. Glover grew exceedingly involved in the young town and was elected mayor in 1883. In 1881, a short time before Glover assumed office, the town was incorporated as "Spokan Falls;" an 1883 amendment changed the spelling to "Spokane Falls." A few years later in 1891, "Spokane" became the official city name when "Falls" was dropped. The city limits at that time extended north to Garland Avenue, south to 29th Avenue, east to Regal Street and west to "H" Street, to encompass a total of 20 square miles. In the midst of name changes and growth, Spokane suffered its share of tragic events. In August of 1889, a great fire destroyed large portions of the city with losses totaling more than $6 million. The need to rebuild the city served as the ideal opportunity to replace the old wood buildings with those made of stone and brick. Noted for their architectural and civic status, these buildings are still treasured by Spokane's citizens. In 1911, Spokane citizens approved a one million dollar park bond, which was used to implement the city's first plan—a park plan created by the world-famous landscape design firm, Olmsted Brothers. Implementation of the Olmsted plan increased Spokane's park size from 173 acres to 1,934 acres and firmly established Spokane's park system as one of the community's enduring assets. Spokane grew rapidly in its early years, from a mere 350 in 1880 to over 100,000 in 1910. To ensure that Spokane's beauty would be protected during the rapid growth period, the City Beautiful committee was formed as part of a nationwide planning movement. 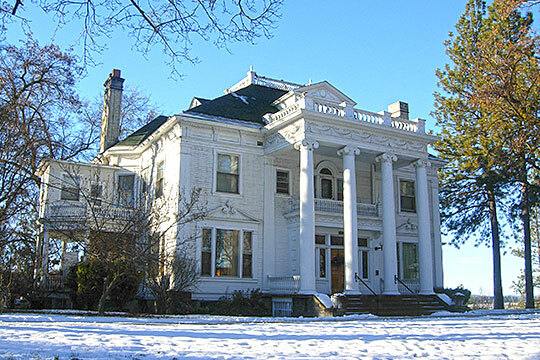 The committee devoted itself toward making Spokane a desirable place to live by enhancing its natural and built environment, both of which were highly prized by Spokane's early settlers who proudly used these assets to "boost" their young community and attract growing numbers of people to it. One of the results of Spokane's City Beautiful movement was the creation of the Park Board in 1907. After 1910, the city's growth slowed and even declined between 1960 to 1990. Fifty years following the mighty fire, the threat and formidable presence of war in the 1940s knocked at Spokane's door and made it a center for wartime activity. Over the next thirty years, Spokane continued to develop both commercially and industrially. Considerable housing developments further shaped Spokane's neighborhoods, gradually spreading into the unincorporated area of Spokane County where most of the new development began to take place. City of Spokane, WA, Comprehensive Plan Update, 2014, spokaneneighborhoods.org, accessed August, 2015.